The fact is, many people mistakenly refer to hot water extraction as steam cleaning when in actuality, they are two entirely different cleaning processes. Each method uses a different temperature of water and sometimes different cleaning solutions as well. So before you clean your carpet or try to treat a nasty stain, read on to learn more about hot water extraction vs steaming cleaning. For a carpet to be steam cleaned, it must actually use steam. I know—who would have guessed? The water must be boiled so that it can transform into a gas. Therefore, the temperature has to be over 212 degrees Fahrenheit (the boiling point for water). Hot water extraction, on the other hand, only requires hot water. How hot? Hot enough that it cleans deeply and effectively, but not so hot that it changes into another state of matter. Basically, water used in steam cleaning must be under 212 degrees Fahrenheit. However, homeowners should beware of renting or buying products like extractors and steamers to use at home. Inexperience and subpar equipment could lead to detergent residue, while inadequate ventilation could cause mold growth. If you use a professional cleaner, both methods can work well because they avoid high levels of detergent and detergent residue, which attracts dirt and can quickly make your carpet dirty again. They’re useful if you or your family are concerned about exposure to volatile chemical compounds. Professionals will also make sure that most of the water sprayed on the carpet is removed. The process doesn’t take long and usually involves four simple steps. They’ll start with an inspection of the area, then they’ll apply an emulsifier or detergent, next they will rinse the carpet clean with water, and finally they will vacuum out nearly all of the water. Within 1-2 hours, your carpet will be dry again and ready for use. So hot water extraction vs steam cleaning: which is best? The titles have become so jumbled that it’s hard to say, but hot water extraction is essentially superior. The most important thing to note is that within the carpet industry, hot water extraction is increasingly being referred to as “steam cleaning.” If you’re confused as to which service a company offers, just ask, but it’s very likely that they use hot water extraction under the name steam cleaning. If you’re in the Springfield area, give First Choice Carpet Cleaners a call. Our cleaning professionals perform hot water extraction using high-power, industrial machines. 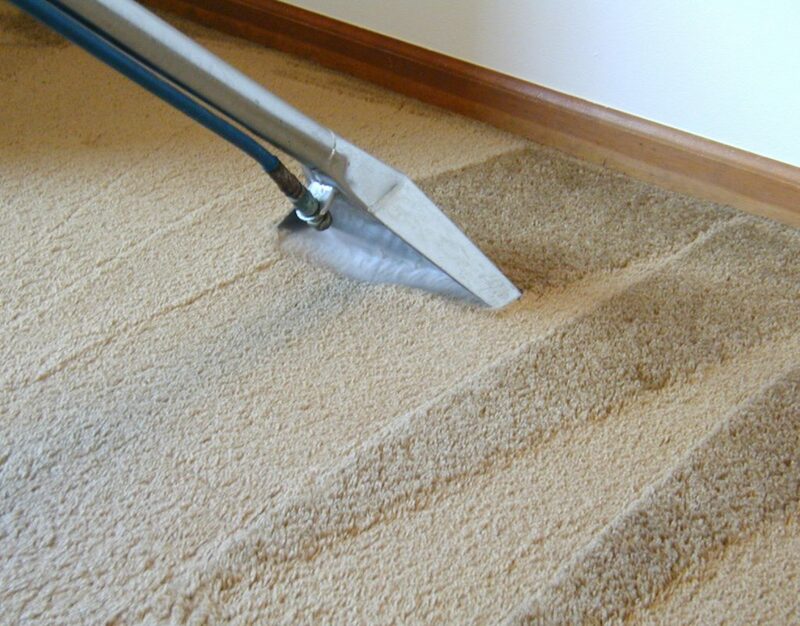 They’ll leave your carpets completely clean with absolutely no residue left afterward. Give us a call at 417-234-0906 to hear more about our carpet cleaning services. Copyright © 2019 First Choice Carpet Cleaning – Powered by Customify.